Much has happened in the Catholic Diocese of Wilmington since October, when a retired Delaware priest was arrested in Syracuse, N.Y., and charged with molesting a teenager over several years. Last month, Bishop Michael A. Saltarelli broke with his previous policy and released the names of 20 priests -- including the Rev. Francis G. DeLuca, 77, of Syracuse -- against whom there were substantiated allegations of sexual abuse of minors. Bishop Michael A. Saltarelli released the names of 20 diocesan priests accused of molesting boys. 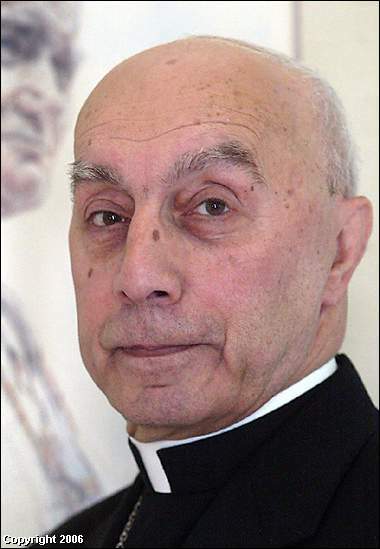 Saltarelli chose to release the names of diocesan priests, he said, because of concerns after DeLuca's arrest. Diocese officials said seven religious-order priests also have credible allegations against them. But Saltarelli left it to the orders to release those names, saying in a letter that he would support them if they chose to do so. This month, the Capuchin Franciscans acknowledged substantiated allegations against the Rev. Paul Daleo, one of their friars, after alleged victim Sean Dougherty came forward publicly. The Oblates of St. Francis de Sales, who run Salesianum School, don't plan to release the names of their accused priests, order attorney Vincent Morrison said. Their position points to some of the differences between diocesan and religious-order priests, he said. When diocesan priests are removed from ministry, they are released into the general public unsupervised, Morrison said. Religious-order priests take their vows for life. If they are removed from ministry, they live in facilities supervised by their religious communities, he said. "Their activities are closely monitored," Morrison said. Daleo, the Capuchin priest, decided not to live under the restrictions imposed by the order and chose instead to leave it in 2003, Capuchin officials said. "They're not held prisoner," Morrison said of the accused priests. "But then again, who in this country that has allegations against them is put in prison? Nobody else is subject to what the priests are subjected to here." Most religious communities in the United States, including the Oblates and the Capuchins, have hired an independent accrediting agency to establish policies to prevent abuse. "By January 2008, we should have everything done -- training for all members, how to spot signs of abuse, what to do in terms of reporting, how to deal with allegations, the best practices for working with children, young people and vulnerable adults," said the Rev. James Greenfield, director of formation for the Oblates. Religious orders minister within a diocese with the permission of the diocese's bishop. Order priests serving in a diocesan ministry must follow diocesan policies and abide by the U.S. bishops' 2002 charter, adopted after the sexual abuse scandal emerged nationally. Among other things, the charter established new reporting requirements and ended the practice of confidentiality agreements. The charter also called on all dioceses to establish specific policies to protect children from abuse. Contact Beth Miller at 324-2784 or bmiller@delawareonline.com.